Ask a knowledgeable person, either in a pet store or at a vet clinic, to help you decipher the list of ingredients. Protein sources can vary—it is best to choose a food that uses meat or animal protein over vegetable or grain proteins, which can cause large, odorous stools. 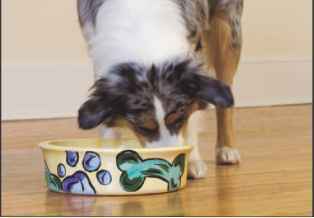 • Protein (21-26 percent): Protein gives your dog energy. It also helps regulate her temperature and stress. If your dog exercises a lot, she'll use more protein. 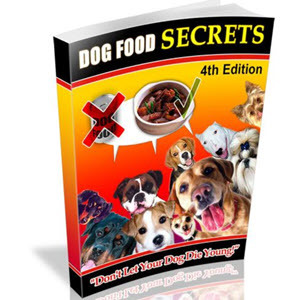 • Carbohydrates (42 percent): Carbohydrates provide your dog with a complex source of energy. Find out which carbohydrate is used to meet this requirement. Corn is cheap, but it can also cause indigestion and allergic reactions. Choose a brand that mixes other vegetables and grains into the diet. • Fats (15-20 percent): Fats provide your dog with a shiny coat and make digestion run smoothly. Fats are the most costly ingredient in pet food as they don't store well at normal temperature. Cheap fats include the same ingredients that go into making candles, but these fats cannot be digested and don't help your dog look or feel her best. Poor-quality fats also can lead to gas. Positive fats include chicken fat, safflower oil, and canola oil. • Vitamins (1 percent): Vitamins are necessary to unlock the nutrients in food. Supplementation may be recommended: speak to your veterinarian. Vitamins A, B, C D, E, and K are daily essentials. • Minerals (1 percent): Minerals also help your dog with daily functioning, including circulation and energy production. Do not supplement your dog's diet unless instructed by your veterinarian: having too many minerals can be harmful. The chief difference between dry and wet food is the water weight and shipping cost. No study has proven that one is better than the other. Some veterinarians recommend mixing the two.